Point Arena is a haven for seals. Many can be seen on rocks sun bathing all along the coast. Harbor seals, also known as common seals, each have their own unique pattern. They are covered in small spots that are either dark on a light background or light on a dark background. They have no external ear flaps and small flippers that cause them to have to flop around on their bellies when on land. 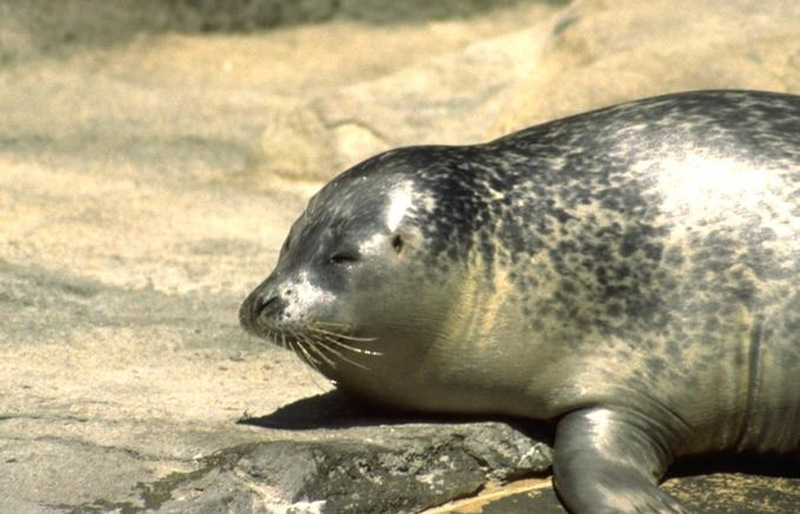 The lack of ear flaps are what distinguish the harbor seal as a true seal. Adult males can grow to be six feet long and three hundred pounds. Females are distinctly smaller. Seals like to “haul out” on protected beaches, spits, bars, rocks and log rafts to bask in the sun and sleep. At the slightest sign of danger they will slip back into the water where they swim with power and grace. Pup season for harbor seals in Point Arena spans approximately March 15th through May 31st. pup. If you see a harbor seal pup that appears to be alone and abandoned, please DO NOT approach or interfere with the animal in any way. Mothers will often wait offshore until humans have left the area before returning to their pup, and may abandon the pup if harassed to a sufficient degree. 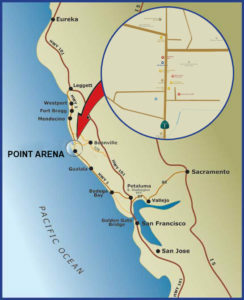 It is against the law to disturb harbor seals and other marine mammals. Do not harass, scare, or separate mothers from offspring.